There was a hotel in the area I grew up in called ‘The Anderson House’. It was a classic, small hotel that first opened its doors in 1856. Its most recent claim to fame was giving its guests the option of having a cat for the duration of their stay. No comment; suffise it to say the gambit apparently didn’t work as they have recently closed their doors. But this is about their Mustard Sauce. I don’t know who amongst my extended family first made it or first got a copy of the Anderson House Cookbook with the recipe. Over the years it has spread and my aunts and uncles, nieces and nephews, siblings, cousins – 1st, 2nd and removed, all make ‘The Mustard Sauce’. 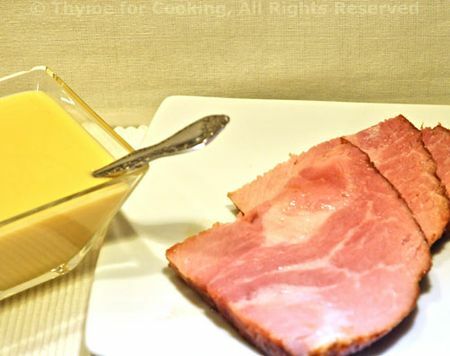 No meal with ham would be complete without it. People would leave; they would boycott; they would not eat. You still have time to make it for your holiday dinner. It’s perfect with ham, gorgeous with smoked salmon or gravlax and works well with everything else. It’s easy to make, keeps well and you already have the ingredients in your pantry. 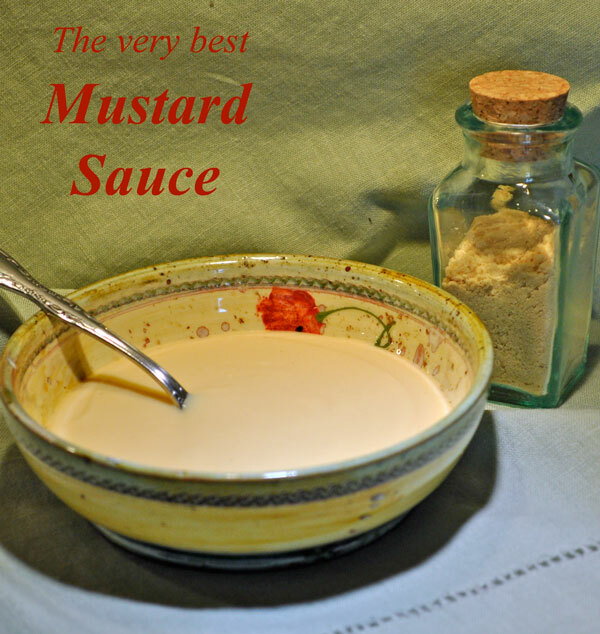 Trust me on this one….. You need this Mustard Sauce. Note: if you don’t have a double boiler, put a metal bowl on a saucepan partially filled with water. The bottom of the bowl should not touch the water. Happy Holidays, Katie and Mon Mari! We send love to you from California and we thank you for another year of fun stories and good recipes! Got to have the regular stuff. Ummmm! Even though we’re having prime rib for Christmas dinner, I would love ham too. This mustard sauce sounds divine. Here’s wishing you a great Holiday time! This sauce sounds so interesting, I must try. Happy Holidays to you too Katie! That sounds very good. Something I’ve never tried! The sauce was wonderful! 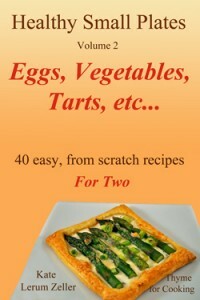 Thanks so much for posting the recipe. Zoomie, thank you so much – best of the year to you and yours! Pam, thanks – I want your beef! Judi, you are so welcome. I’ve been eating it since I was 10…. This sounds great – much like a mustard sauce I use with Corned Beef and Cabbage – but that sauce is made using whipping cream and horseradish. Will give this pretty yellow one a try for Easter. I tried this – and liked it (my younger son actually did all the stirring). Ours was not as yellow – had more of a condensed milk carmel color, but the sauce did have some thickness to it. I thought it really enhanced the ham – not too harsh, nice and mellow. My son, always the critic, thought it had a little grittiness to it, not sure how that could happen (we made sure to mix in the mustard powder). Thank you! I don’t know why it would be gritty…. maybe your mustard powder wasn’t fresh? Or your son’s stirring ability not up to the task (just kidding)? I’m glad you liked it. It’s still our family favorite! Thanks for commenting. Once initial batch is made and set aside. How would you reheat for future meals? This is excellent! Made it for Thanksgiving yesterday just because. We always eat our ham plain but I wanted to add something but didn’t want to cook it with a glaze. I used my Vitamix blender because it cooks as well and I hate stirring over a double boiler. Everyone loved it and I will make this again. Oohhh. Now I want a Vitamix! I didn’t realize they cook, too! I just saw them on sale the other day…. Must go back. Glad you liked it – and Happy Belated Thanksgiving!